Home » Blog » Should You be Worried About Your AC Unit This Hot Season? 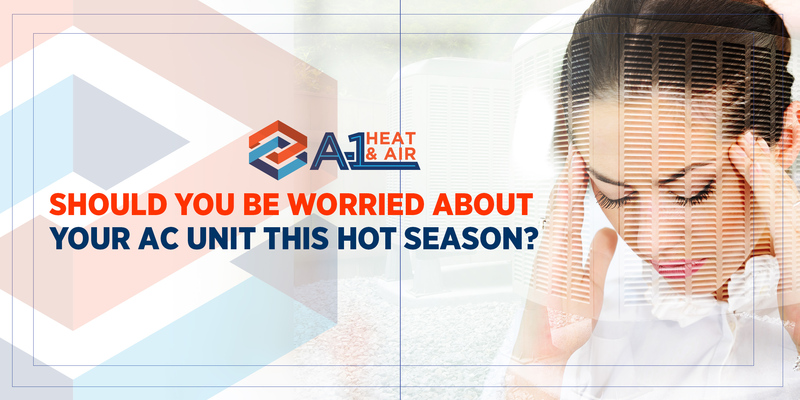 Should You be Worried About Your AC Unit This Hot Season? As soon as summer strikes, you surely are a bit uncomfortable thinking if your AC unit can keep up with the rising temperature. But, should you really be worried about your cooling units? With advanced preparation, there is nothing that your AC cannot beat this summer! Check out these helpful tips to keep yourself from distress and worry about your air conditioner. We make it simple and easy only for you! How Does Heat Affect Your AC Unit? During hot days, it is true that your air conditioner works a bit harder. Once you hear the engine chugging, it means that the first wave of heat has just rolled in. Both heat and humidity affect the performance of air conditioner as it needs to transfer hot air in and out of the house. Generally, it is harder to make indoor environment cooler than the outside. This is why your AC unit struggles on cooling your home during hot seasons. Remove dirt and debris on the compressor. Make sure that the exterior compressor/condenser is free from leaves, shrubs and other debris. Remove everything that blocks the flow of air from indoor to outdoor and vice versa. Check for signs of malfunction. See if there are odd sounds or foul smell coming out of the unit. Monitor its occurrence and see what you can do about them. Clean air ducts. Regular air duct cleaning helps your AC to work at peak performance. It allows a smooth and clean flow of air all throughout the house. Dust off your evaporator coil. Cleaning evaporator coil regularly inhibits the growth of algae and other allergens. Change air filters as often as needed. Replacing your air filters once a month is a sure help. It ensures a clean and healthy flow of air inside your home all year-round. Ask for help from professionals to do preventive maintenance on the unit. Have your AC checked by HVAC experts to ensure its optimal performance. They have the right knowledge and right tools to do the work. You should not be worried about your air conditioning unit these warm months. As soon as you see signs of malfunctions, go and get help from A-1 Heat and Air Conditioning! We are here to relieve your worries away and replace them with excitement for the hot season.